I haven't got into Project Life. I might like it in an ideal world but just don't have time for it, or a life worth documenting in such detail, or the yern to create so many tiny canvasses. But as the new Quirky Kits give a nod to that type of scrapping I thought I would kind of give it a go. I must make sure to move that watercolour leaf over so you can read the sticker that says "freedom" better! I cut the feathers using the cameo and layered two lots of lush ribbon on the card. The photo is popped up on foam pads. The flower was painted using Peacock Feather distress ink which was a perfect match to the clip and the American Crafts glitter thickers. The letters are from the Project Life sticker pack in the main kit. I've been having quite a blast with the Jan/Feb kit. I think it's the all the bright colours they're just a nice cheer up in the face of all the grey weather days and dark too quickly evenings we have this time of year. I sat myself down with the kit and some photos I've had picked out for a while to scrap. I have been thinking about trends and techniques too and in the Simple Sketches booklet I included an idea using large titles on pages that's a trend I like right now so I set out to make a layout with a large title. In the kit I also added a smaller alphabet sticker to work with this idea so you can create longer titles or mix them in with large cut titles like this or just using up your own larger alphabet stickers. I know the dies with the words and lettering are really popular right now too so it could be a good excuse to work those into your scrapping if you have them. I used a brush font to make the large word in the title. If you have a PC you'll probably have Word. That's all I used for this Word with the WordArt option selected then using the outline style title I printed out the word in mirror image, (that's under printer options) printing it on the back of a sheet of white cardstock and cut it out. You could use a font that's not joined up and create individual letters but I really like the one word cut out so that's why I went with a script style font. You could even just write the word out on the back of your cardstock and use your own handwriting to make a title with. I'll definitely be having a go at that in another layout. With this layout I used bits of all three of the Jan/Feb Quirky Kits, only because I've ended up with everything mixed together on my desk so when I started this layout I started with the vellum from the main kit and a white cardstock base and then ended up picking out the other turquoise colours from the kit goodies to match with it. I mixed in the yellow stripe paper from the main kit and the orange/yellow leaf embellishments from the Embellishment kit to contrast with the turquoise. There's also a little bit of the Beau Book paper from the Lite kit. It was just a long narrow scrap I had left so I tucked it in behind the yellow to give the whole layout a bit more interest. It also worked as a nice highlight for one of the Kesi'Art phrase stickers from the Lite kit I also added over the top. The bottom of the yellow stripe paper has a turquoise pattern cut off strip so I kept that part on the paper and carried it on a bit with the teal ribbon from the main kit, just tucking it slightly underneath the paper carries on the scallop pattern on the paper a little bit. As I used vellum as the background I also used some of the Kesi'Art vellum (from the Embellishment kit) in the foreground. The edges of the vellum were a little bit blunt looking against the white so I decided to soften them using the twine from the main kit all around the edge of the vellum. I used Glossy accents, just a little bit of it all around the edge of the vellum was all it needed to stick the twine down as it's super sticky. Here you can see the different paper layers with the vellum just slightly overlapping all the patterns to help bring them together. I used the journalling cards from the Lite and the main kit to act as a photo matt and a journalling block. Both sides of the Kaisercraft journalling card from the main kit worked with my layout so I folded one end upwards a little to show both sides. The yellow arrow is cut out from the Simple Stories paper from the Lite kit. As well as carrying on the title with the smaller alphabet stickers I used one of the October Afternoon chipboard stickers from the embellishment kit as a base for a stamped word. I used a Pebbles roller alphabet stamp to make the word. I'll be back with more of my finished layouts soon. Hope this has given you an idea to make a large title accent on a page. When a new kit arrives, after I have spent time unwrapping everything and going "oooh this is fab" about 10 times, the next thing I do is head to my computer to print out a random selection of photographs that I know I want to scrap. I don't do chronological order, (although I keep summer holidays in separate albums) so this time decided on a range of old stories, photos from the half term break we have just had and some selfies so I could talk about how having new glasses makes me feel. The husband and I have our own printers so I was confused when things seemed to go wrong with my printing. Then I discovered that SOMEONE had changed the settings (as it happens it was for a nice reason which I am also scrapping with this kit). But that in fact I liked the way the photo had printed. With just half my face. This was going to have some kind of punning title, but then on the Kesi'art Kiss My Neon Your Own Way cut apart sheet I saw the little box that said "Take what you need" with lots of positive words underneath so decided to use those as part of the title. I gathered together papers from the kit, including some of the fabulous vellum which I backed with white cardstock so that it would be seen in all its glory. I added some of the May Arts ribbon which I adore. The pink zigzag was cut from another of the cut apart pieces of scrap paper using decorative edge scissors. If you haven't used the Crate paper decorative pins yet (from the Junk Drawer embellishment kit) - I found that they have some black grease on the inside and it is well worth wiping them several times to clean it off. Otherwise once you put that pin on something you have to leave it there or work out how to disguise the greasy mark. But they are gorgeous so it is well worth persevering. As I was outlining everything else I decided to have a go with the Prima leaves (also from Junk Drawer) and I like the funky look. The leaf on the left is a far more subtle pink than it looks onscreen. 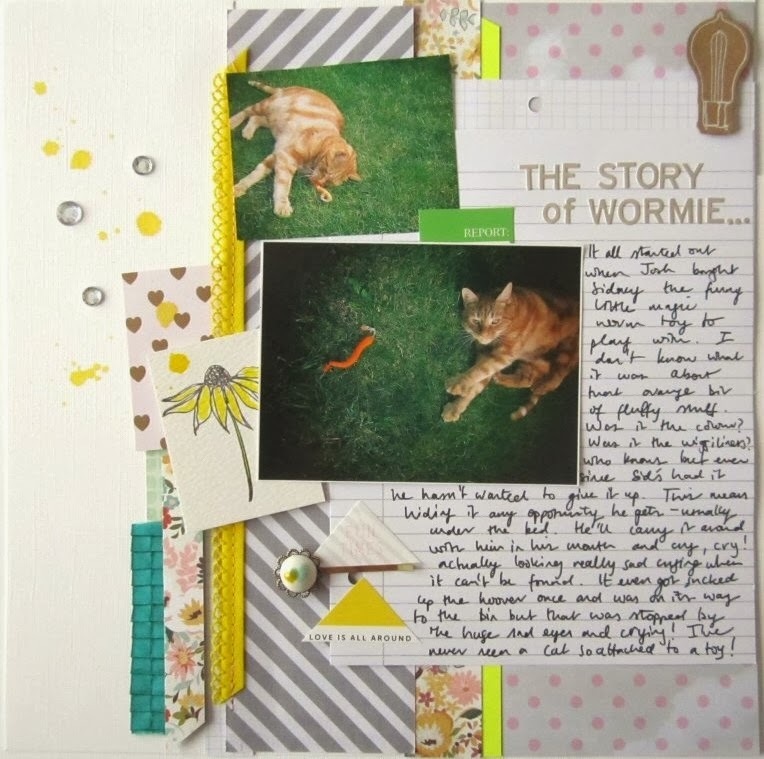 I picked out lots of things for the current kits, (Jan/Feb 2014) that allow you to make journalling a main feature on your scrapbook pages. I picked out some notepaper from the Bo Bunny Life Journal range 'Misc Me' with the idea to use it right on scrapbook pages so they can look like pages of a journal pulled out to use on a page. Because it's a scrapbook safe version of notebook paper it means you can use it like a regular scrapbook paper too and put your photos right on top of it. I had this idea in my head when I started out these pages. My scrapbook pages vary a lot with how much journalling I put on there. I suppose it depends on the album the page is going in, whether it needs it or not. When we are memory keeping though sometimes it's not all about the photo it's about a memory and telling a story so that's how I approached putting lots of journalling on a page. I started off with the story, then picked out the photos. You could even make a page entirely around a written out letter, not including any photo to make a different kind of page for a family album. A page with handwritten journalling from lots of different family members could be really interesting to look back on too? Here's my first layout from the main kit. Everything used is from the main kit, I added the pin and two of the triangle stickers from the Embellishment kit. The yellow ink splashes is a Studio Calico Mr. Huey's colour mist in Yellow Taxi. I used that to colour one of the flower images too using a paint brush. I started off with a white cardstock background then used the patterned papers in strips to build up the background. I added in a tiny strip of the neon cardstock just to add a little pop of it. The yellow binding trim I slotted on the edge of one of the paper strips and then stitched down along the edge. With some of the paper pieces I glued them down with tape just down the middle then carefully lifted the edges a little just to give it some definition. Some pieces are stuck down with 3D foam pads too, the smaller strip of the R.SV.P patterned paper is, also the flower image the the light bulb die cut. 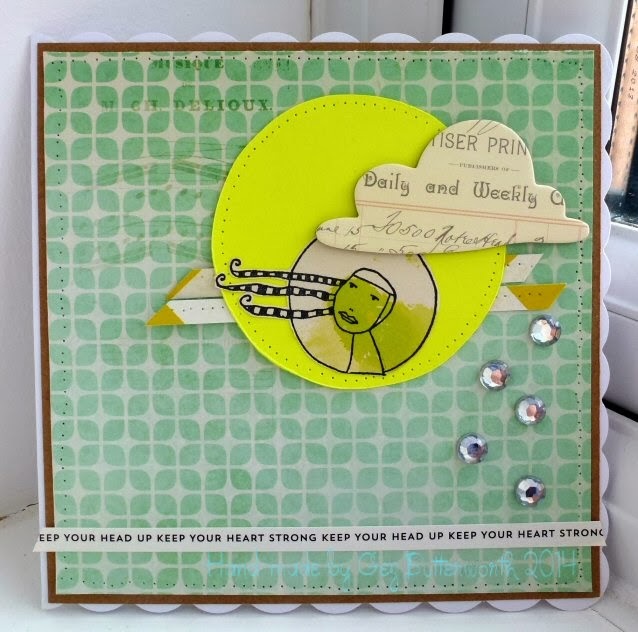 This next page is made with the 'Pocket Diary' Quirky Kit Lite. I added one of the badge sticker embellishments from the Embellishment kit. of paper to put around the edges and cut out one of the calender cards from the Echo Park paper. I used one of the Project Life cards as another layer. Once I was happy with the position of the layers I added some double-sided tape to back of each piece to fix them down. The red arrow pieces I cut out from the Simple Stories paper to pick out the red in the photo and fixed them on the layout with 3D foam pads. The stars were punched out of the Kesi'Art paper and again fixed down with foam pads to give them a bit more substance. There's lots of the Project Life Ledger cards in the Lite kit which have been added for you to journal onto just like the notepaper in the main kit. I cut one in half on this page to use for the journalling. I've got an idea to make some lift up/interactive journalling spots for a layout with these cards and the washi tape in the kit so I'll come back with that idea finished for next time. 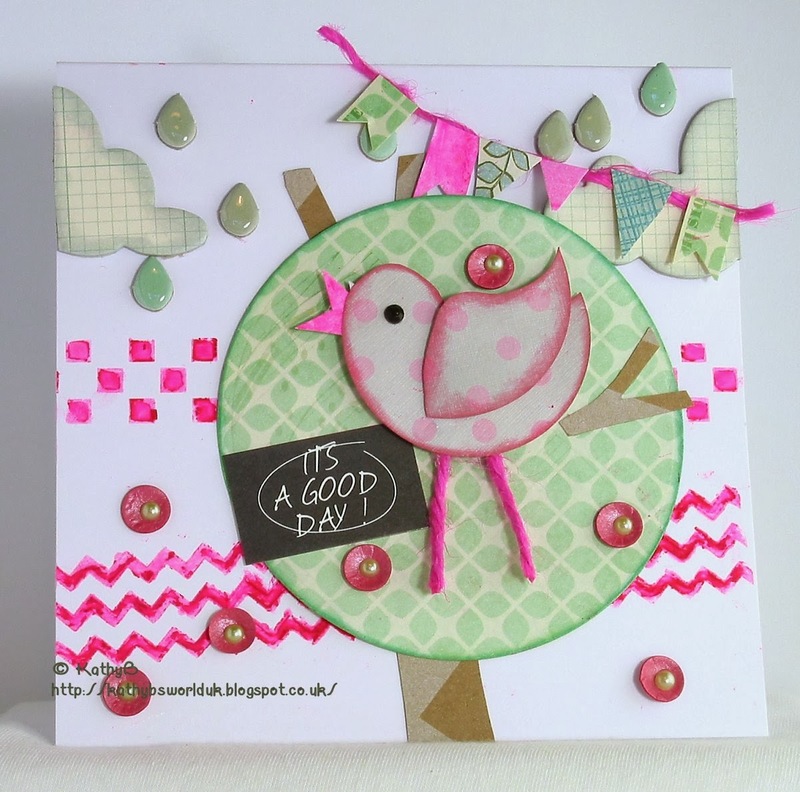 The Daring Cardmakers gang have been creating with the new Quirky Kit goodies this week. 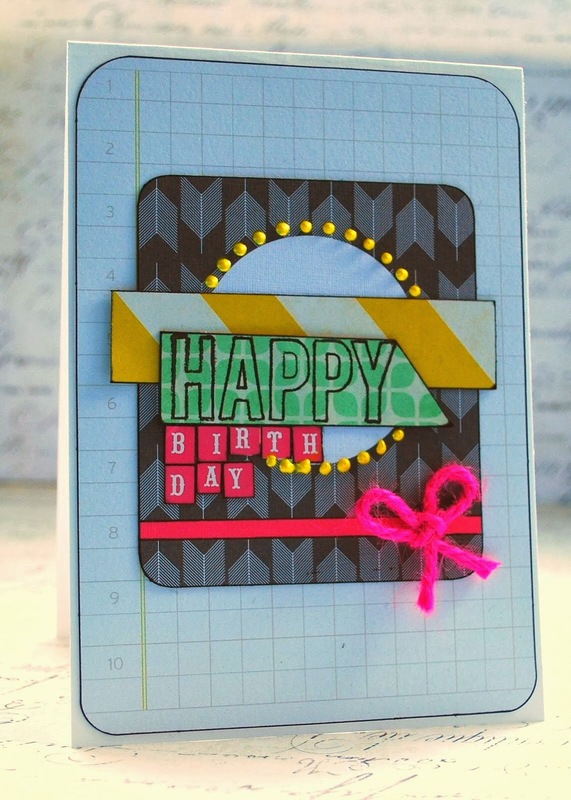 If you've not visited The Daring Cardmakers blog yet do head on over there and have a go. Even if you're not a card maker some of the dares are good for sparking off ideas for other paper crafts. 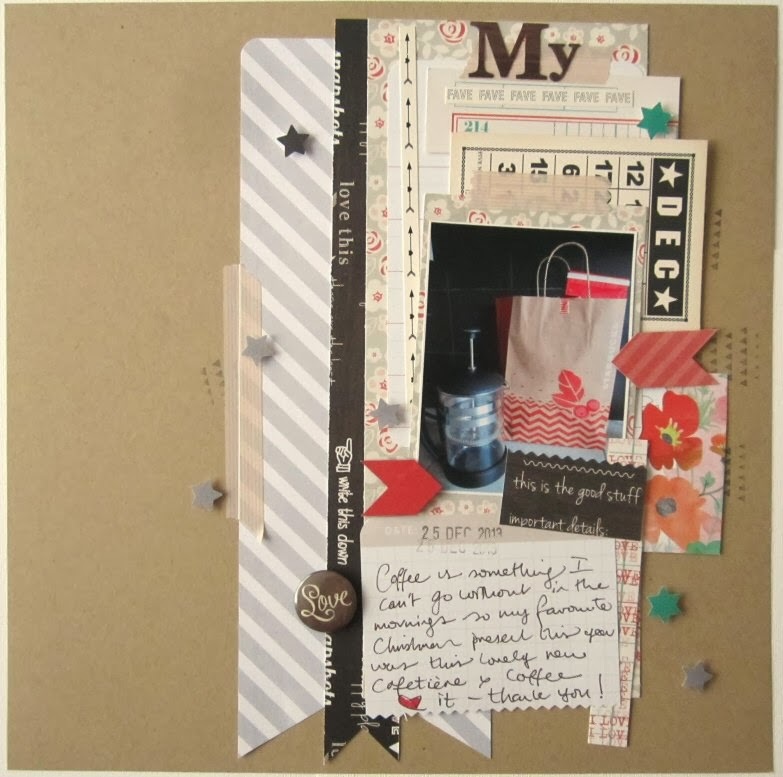 Lots of embellishments on cards or how the backgrounds have been made can be picked up to use on a scrapbook page. I've been designing with them for quite a while now and it's a brilliant little kick to get your crafty brain into gear as well as getting inspiration from other crafters. Here are a few of the cards the DCMers have made, head on over to the blog to see them all. And this is my go. I mixed up goodies from the main and Lite kits. The heart embellishment I made with wire then wrapped the neon string from the Lite kit around it. I did think making it the same idea could be used to make a photo frame or frame for journalling on a scrapbook page? I'll be back tomorrow as I've just finished my first couple of layouts with the new kits. The latest Jan/Feb kits are just about ready to go out and should be shipping on Monday/Tuesday next week (10th). My gosh have I had a few headaches this last couple of weeks getting these kits done but finally after lots of last minute shuffling the new kits are finally finished! Phew. The main kit is 'Creative Journal'. My original idea came from mixing a couple of current trends, one being using floral watercolour designs/patterns with pops of bright neon colours and the other the journal style scrapbooking with journal papers and the little card embellishments. To give it a quirky twist I wanted to use some botanical drawings somewhere in the kit and mix them with bold modern patterns like the chevron and the polka dot. I really love that mix of the graphic stripe/chevron patterns with the botanical sketchy drawings and floral patterns. I've also included lots of neutrals in the kit along with the bright colours so you can feel confident about using the bright colours. Use the neutrals to 'ground' your photos and then add in the little touches of bright colours to make your pages 'pop' and you can't go wrong. The smaller scale Project Life alphabet stickers I thought were a nice change too. Work them with the lined journal paper in the kit and make longer titles or use them for journalling to work in the whole creative journal style to your pages. I've added the kit details to the shop here. I started out with the same idea as the main kit but with the Lite kit I've added more graphite tones so lots of greys but then there's these little pops of neon colour. Like in the main kit there are some plain lined/ledger patterns this time in the form of Project Life Ledger cards. You could use these for journalling or as photo matts or even use the washi tape in the kit as a binder and make them into a minibook or interactive flappy journalling/ lift up embellishments on your pages. The sheet of the Jenni Bowlin 'Month of the Year' paper could be cut up into cards to use as starting points for you to make a 'page a month' album. There's a Basic Grey Fresh Cut paper going in this kit too. that I didn't get in time for the photo. 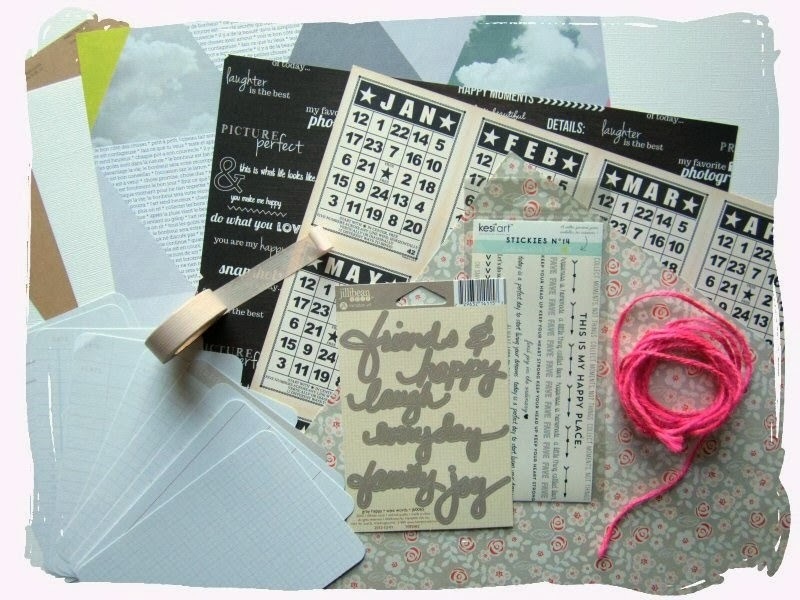 The inspiration for this kit started off when I was thinking of things we keep that don't have a home, the 'Junk Drawer' and how we could be putting them into little journals or smaller scale pocket scrapbooks/binder albums. There's lots of embellishments here that are a smaller scale so great to use for regular crafting but also smaller scale scrapbooking. All the same little pops of bright colours from the main kit are reflected in the embellishment kit too as is the botanical inspiration. I also couldn't resist adding the sheet of the Kesi'Art vellum paper or 'KALK'. I suppose it might be debatable if this comes under being an 'embellishment' but when I saw it I loved the idea of cutting out the cameras to embellish with so I went with it in the embellishment kit! It's quite unique, I've not seen a vellum like it before it's more like it's half way between a vellum paper and a transparency sheet. It'd also make a really unusual overlay sheet if you're making a journal type scrapbook mixing paper pages with pocket page protectors. I've added the kit details to the shop here. Have lots of fun with your new kits. As always I'll be pinning ideas/inspiration to the kit Pinterest board as well as there being ideas popping up here on the blog using the new kits over the next 7 weeks. There's also the new 'Simple Sketches' printed worksheet main kit subscribers can look out for in kit boxes. It's a printed supplement with scrapbook sketches and starting points to give your crafting a kick start. 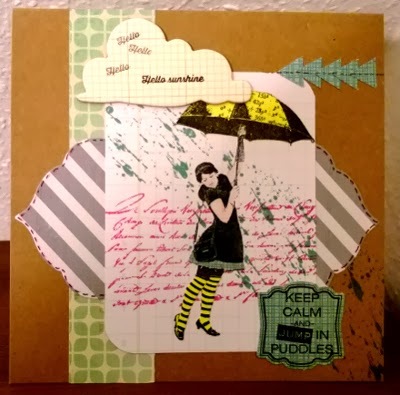 If you're a cardmaker too look out for the Daring Cardmakers Quirky Kit Challenge coming up soon. I've challenged them to come up with card designs featuring neon and using items from the new kits so look out here to see what they come up with!